Darren Watson is an authentic champion of free speech. With apologies to anyone who knows this story well, in 2014 Darren came up with something that’s now quite rare – political satire in song form. Planet Key was recorded and released during the months before that year’s election, which is what you’d do if you’re an artist with political convictions, wanting to remind the populace of the faults of the then Prime Minister. The Electoral Commission didn’t care for the distinction between satire and electioneering and deemed the song (and accompanying video) as an “election advertisement”, and subject to the same constraints as political broadcasts. That effectively banned it from being played on radio and television as a piece of music. Even the youtube link had to be taken down. Darren and his collaborator on the video, Jeremy Jones, went to court over the decision and won in both the High Court and the Court of Appeal, relying on a legal team that worked pro bono. And as long as the case was making its way through the courts, any possibility of recouping a buck from sales of the recording were slashed. It’s unlikely that there’s anyone alive who thinks that the Electoral Commission were in the right. But if Darren and Jeremy hadn’t kept the fight up with little to gain but a moral victory, all of our rights to free speech would be a little more constrained today. So for this and other reasons it’s a pleasure to welcome Darren Watson back to the Hashigo Zake lounge this week. Darren is returning after taking a break from gigs following his 2018 album release and national tour. But judging by his recent activity on social media and appearance of RNZ this morning, Darren appears to be refreshed and eager to get in front of an audience. 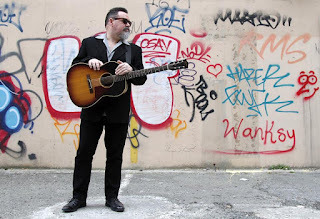 This gig is categorised as “acoustic” and rather than his full band (coming later in the year) Darren will be joined by keyboardist Dayle Jellyman. 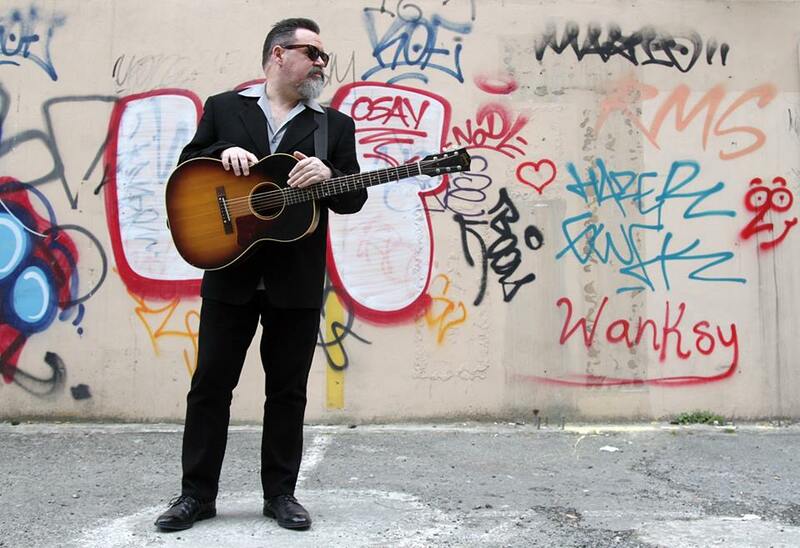 TL;DR: Darren Watson and Dayle Jellyman perform in our lounge at 10pm on Saturday night. No cover charge! As mentioned last week, the combination of maintenance on some of our taps and the holiday season slowdown caused us to run with a reduced number of tap beers. We now have every tap pouring again and the hand pump will be operational later today, when we put Kereru Silverstream Pale Ale on. It will be the first time for months that we have twelve beers on tap at once. Customers wanting to concentrate on pale hoppy beers might want to look to the right as they approach the bar. We now have four beers on tap from New Plymouth's Theoretical Brewer. Along with the shipment from Hallertau that includes next Tuesday's new release, was a nitrogenated keg of their very popular sour called Lemon Curd. It's on tap now. Our underkeg scale tells us that cult IIPA Hoppy McHopface will run out early this evening, if not sooner. Coming soon is a keg of Peckham's Chisel Jersey cider. Next Tuesday’s New Release will be Hallertau’s contribution to the flood of hazy IPAs - So Hazy Right Now. Will it have an initial aroma and flavour like a glorious cocktail of fresh fruit pulp, before finishing like a nagging, oversweet, made-from-concentrate orange and mango flavoured apple drink? Plenty of people will be hoping so. We haven’t tried it yet, so can’t say, but we can confirm that the keg is already on the premises so we’re just rapt that there will no crossing of fingers or mercy dashes to a freight depot next Tuesday afternoon. So Hazy Right Now goes on tap at 5pm on Tuesday. 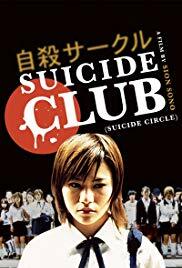 After last week’s “vintage” American horror, we’re switching back to the often disturbing world of Japanese horror, in the form of Suicide Club. It’s a 2002 film about an inexplicable fashion for teen suicide that divides critics and audiences. Parental supervision is advised against. Happy Birthday Wellington. We wish everyone getting Monday off an enjoyable rest. We’ll be open as usual. And as usual there’ll be no public holiday surcharge. Is anyone looking for a relaxing use of your day off? Monday is the day of the two Conference Championship games in the NFL – effectively the Super Bowl semi-finals. But maybe don’t call them that. The first game takes place before we open, but the AFC Championship Final, between the New England Patriots and Kansas City Chiefs, kicks off at 12:40pm on Monday. During the regular season the Patriots beat the Chiefs 43-40 on their own home turf and have been one of the NFL’s most reliably successful teams for many years, but this game is in Kansas City and the Chiefs have a superior record. It’s a perfect way to get into the mood for our annual Super Bowl extravaganza, which will take place exactly two weeks later.